WASHINGTON -- Negotiators trying to hammer out a quick NAFTA deal said on Friday they will take a break until May 7, allowing time for consultations with the auto industry in Mexico and for U.S. Trade Representative Robert Lighthizer to visit China. 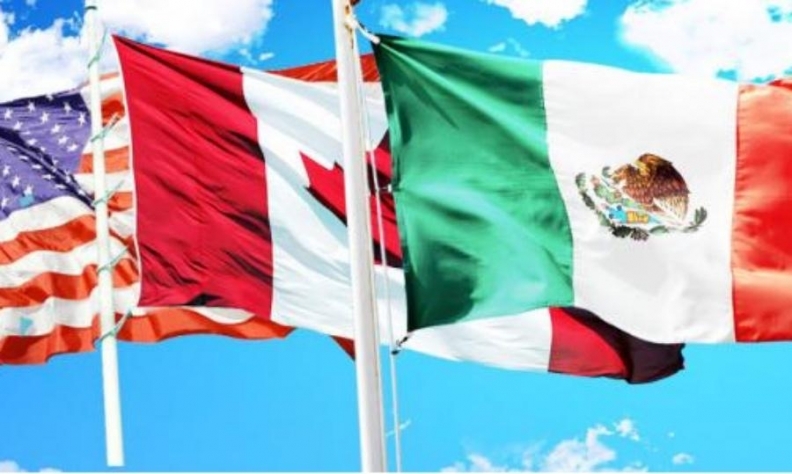 The pause underlined how much work remains to be done to update the North American Free Trade Agreement between Canada, the United States and Mexico, especially relating to automotive content and production rules. Under pressure from U.S. President Donald Trump to nail down a deal, Mexican Economy Minister Ildefonso Guajardo and Canadian Foreign Minister Chrystia Freeland have been holding intense talks in Washington with Lighthizer since Tuesday. The Trump administration has threatened to impose sanctions on Canadian and Mexican steel and aluminum on May 1 if it deems not enough progress has been made in the talks. It was not immediately clear if that deadline has also been postponed. "We ministers will be meeting again on Monday the 7th," Guajardo told reporters after a fourth straight day of top-level talks. U.S. negotiators initially demanded that North American-built vehicles contain 85 per cent content made in NAFTA countries by value, up from 62.5 per cent now. Industry officials say that has been cut to 75 per cent, with production of certain components specified in areas that pay higher wages -- a demand aimed at preserving manufacturing in the United States and Canada and putting upward pressure on low Mexican auto wages. The break will allow the Mexican team to return home for consultations after shifts in the U.S. proposals, a person who was present in the meetings said. Other sources briefed on the talks said Mexico had asked for the timeout to bounce the latest U.S. position off its auto industry executives. The break will also allow Lighthizer to visit China with other senior Trump administration officials next week as planned. Freeland is scheduled to be in Bangladesh on May 3. Freeland said the ministers would reconvene in Washington "in a week or so" after the political consultations at home. "We have made a lot of progress here in Washington this week," she said. Freeland did not answer directly when asked whether the United States would impose the tariffs on May 1.